Today’s medical community has responded to the growth in demand for hospital emergency services by developing a system of Freestanding Emergency Departments. Today’s medical community has responded to the growth in demand for hospital emergency services by developing a system of Freestanding Emergency Departments. This section serves as a resource for learning more about the Freestanding Emergency Center industry. Please fill out the contact form below if you would like to request additional information. • Transfer arrangements with facilities offering a higher level of care for surgeries, etc. What services are offered at a Freestanding Emergency Center? Freestanding Emergency Departments typically offer the same level of treatments available at a hospital emergency room. They treat severe and life-threatening conditions including, but not limited to, burns, major injuries, chest pains, poisoning, overdoses, extreme allergic reactions, seizures and heavy bleeding. While the exact number of Freestanding Emergency Departments is unknown, the American Hospital Association has estimated that several hundred of these facilities operate nationwide. Most Freestanding Emergency Departments are owned and operated by hospitals. Independent facilities also exist, and they are commonly owned by physicians or other business interests. The Freestanding Emergency Center originated in the eastern United States approximately four decades ago as a way to provide care in underserved regions. Reaching their capacity but unable to justify building comprehensive new facilities, hospitals built Freestanding Emergency Departments to meet local demand for emergency care. Growth in this industry is driven by increasing demand for emergency medical services. Hospitals often decide to build new facilities in order to grow market share, build brand awareness and offer high-quality care to local communities. 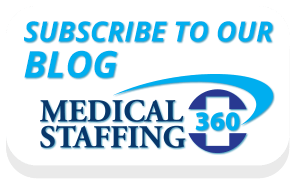 If you want help with staffing needs at your Freestanding Emergency Department, contact us today. Does a career working in a freestanding emergency department appeal to you? Submit your resume today.